Who is the target audience of HQ Global? 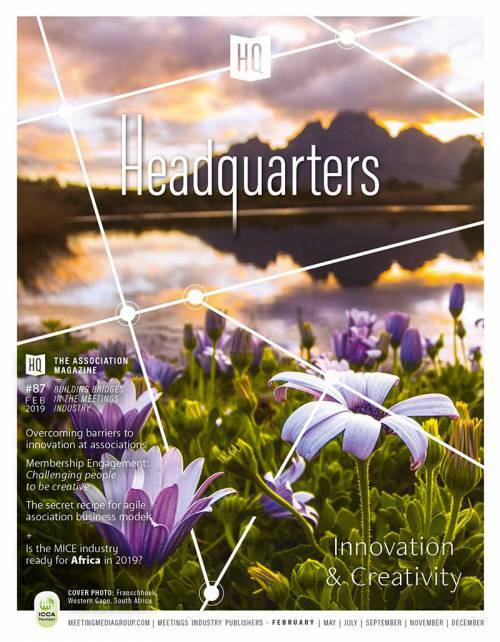 Headquarters (HQ), the Association Magazine, is a leading resource for meeting planners worldwide, providing diverse content featuring association management and education, destination reports, interviews, customised supplements, as well as the latest MICE industry news and insights. 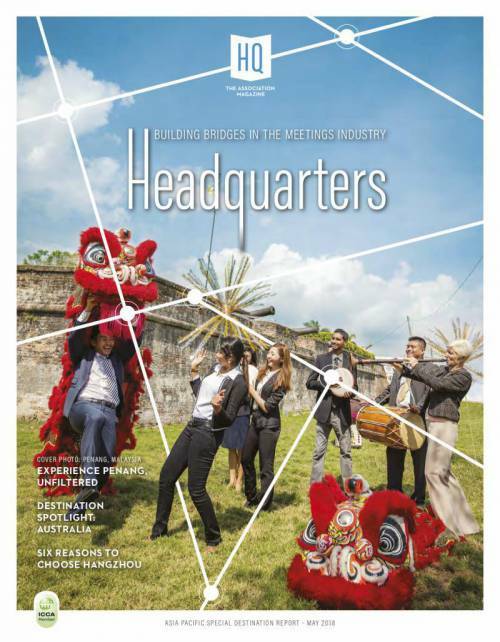 Our readers are professionals in the meetings industry with decision making influence: CEO’s, Executive Directors, Secretary Generals, and Senior-level Management of European and international associations, congress organisers and agencies. Keeping up with the latest technology and innovation, Meeting Media launched in 2017 its new flagship and groundbreaking digital product to offer our association and corporate readers the latest resources in the meetings industry: association management and destination reports, case studies, digital supplements and much much more. LIVE is more dynamic - Our knowledge-based and content-focused template will now allow you to insert images, videos and audio to make your feature as engaging and interactive as never before. LIVE will allow you to reach more people - Our new digital platform Headquarters magazine.live is optimised for our readers, no matter what device and screen they are using. Read us on your desktop, laptop, tablet or smartphone, we make it easy for you. What are the advertising opportunities offered by both digital and print media? Our website provides abundant advertising opportunities such as e-banners, e-zines and other forms of customised features. The print media, however, offers more traditional advertising options such as print ads and advertorials (i.e. feature articles designed to meet the client's needs). Please contact our sales team for matters related to advertising on either medium, or both. vivian@meetingmediagroup.com. Where can I send my press releases and promotion materials to? Who should I contact to arrange or organise advertorials/editorials/advertising/events/famtrips/etc.? GDPR stands for General Data Protection Regulation. It is a new European Union regulation that governs the protection of personal data, and the rights of individuals to control how their data is used. What is meant by ‘personal data’? Personal data are any types of information which, if collected together, could be used to identify a specific person. Our database does not record or use any personal information other than your professional contact details within your organisation (our database stores no data related to racial or ethnic origin, political opinions, religious beliefs, other beliefs, memberships, physical or mental health/condition, sexual life/gender). Is GDPR applicable to Meeting Media Group - Headquarters & MIM magazines? Yes. As Meeting Media Company operates within the EU, and serves customers in the EU, GDPR applies to us. Is my data secure with Meeting Media Group? Yes. We take the security and privacy of your data very seriously. All information that you provide is kept on our servers. We restrict access to your data to specific employees of Meeting Media Group who have important business-related reasons for handling it. We do not sell your data to third parties. Will Meeting Media Group provide me with all the data they hold about me if I ask for it? General Data Protection Regulation (GDPR) gives people the right to access the personal data that organisations hold about them. We will provide you with all the information we hold about you and your organisation. Will Meeting Media Group erase all the data they hold about me if I ask you to? General Data Protection Regulation (GDPR) gives people the right to ask for all the personal data that organisations hold about them to be erased. We take the security and privacy of your data very seriously.